Eddie Hearn: "He wants to have a proper fight and that's Dillian Whyte all over." 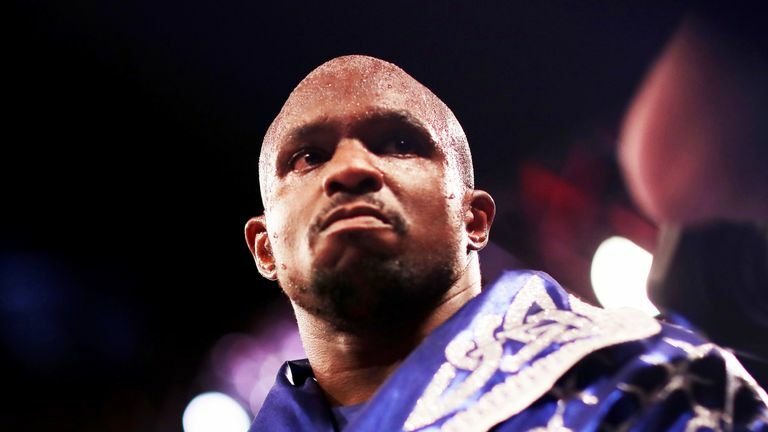 Dillian Whyte has a five-man shortlist to choose from for his next opponent in July, promoter Eddie Hearn has revealed to Sky Sports. Whyte will return to the ring in the summer after knocking out domestic rival Derek Chisora in December to cement his status as the WBC's No 1-ranked heavyweight. The Londoner is currently waiting to discover whether he will be granted mandatory status to the winner of Deontay Wilder-Dominic Breazeale. "We wait on a decision from the WBC," Hearn said on Thursday night. "Obviously everybody knows they were at a meeting and mediation in London some weeks ago. We expected a decision last week, we're hoping it will come this week. "Plans are in place for his July fight already, but we are also keen to know we get what we requested from the WBC and once we know what that is, which we hope will be tomorrow, we will be in a position to announce his next fight and look at his plans in more detail. "There are probably about five options for Dillian in July. He wants to have a proper fight, even if he's mandatory for the winner of Wilder-Breazeale. He wants to have a proper fight and that's Dillian Whyte all over.